One of the most popular summer destinations in the Mediterranean, Mallorca is home to numerous hidden gems that can be explored with a yacht charter. From small coastal towns and secluded beaches to lively cities well-known for their beach clubs and 5-star resorts, Mallorca has something for everyone. 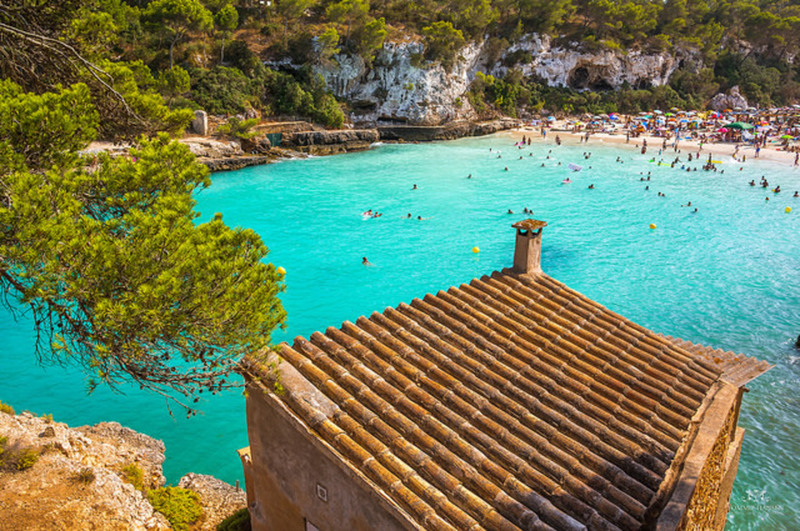 If you wish to get away from large crowds of tourists and find your own piece of heaven on the island, we’ve rounded up a short list of hidden gems in Mallorca that are worth visiting. Palma Aquarium features over 8000 specimens from 700 species and houses an impressive display of live corals. The star attraction here is definitely the Big Blue, which is the deepest shark tank in Europe. This modern marine park is located close to the airport in Palma and attracts thousands of visitors daily. Travelers who have a scuba diving certificate can get close to the sharks in the Big Blue tank, while children who over 8 years can swim with the rays. Easily accessible by a boat rental, Mood Beach Bar is located in the southern part of the island and offers panoramic views of the Palma Bay. This bar has both indoor and outdoor facilities, as well as a cozy candlelit lounge which is open during the winter season. Since this place gets full in summer, reservations are recommended. No beach vacation in Mallorca is complete without visiting the oldest and most traditional market on the island, the famous Sineu which is located on the main square. This market was established at the beginning of the 14th century and was initially a livestock and an agricultural market. Today, Sineu is a farmers market where you can also find crafts, leather shoes, and other goods. Keep in mind that the market gets busy around noon, so try to come early in the morning to beat the crowds. There are also several traditional restaurants in the area where you can stop to have lunch. Located at the famous resort of Magaluf, BCM Planet Dance is the largest nightclub on the island and was nominated the 5th best nightclub in the world. The complex is divided into 2 separate floors including the BMC main room with a Vip lounge, an open-air terrace, and the Millenium floor. It’s an ideal place for partying with friends until the morning light. Located just a short drive from Santanyi, Caló des Moro is one of those secluded beaches in Mallorca that you won’t find on the first pages of travel brochures. It is situated between steep cliffs and offers amazing views of the Mediterranean Sea. The crystal clear waters make it ideal for swimming and snorkeling with family and friends. 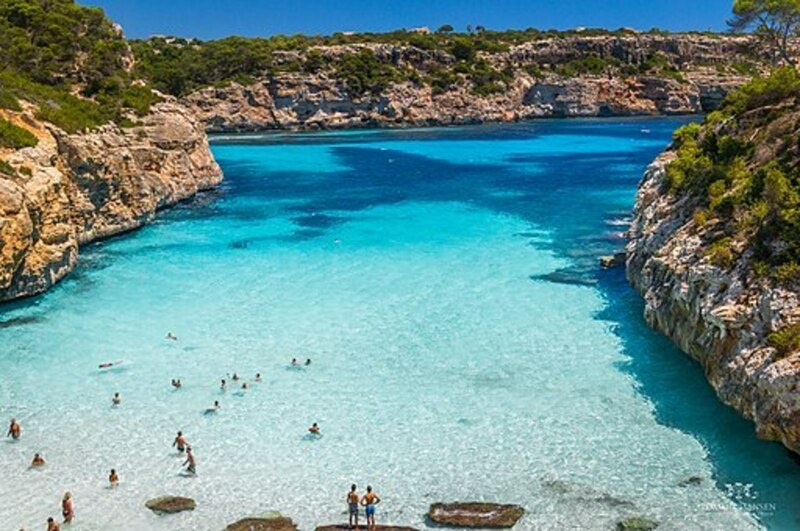 Find a cheap yacht rental in Mallorca and set sail to this amazing beach. Situated inside a 17th-century Hotel Convent de la Missi in the center of Palma de Mallorca, Simply Fosh offers a contemporary menu of Mediterranean-influenced dishes using locally sourced ingredients. Some of the signature dishes here include the mouthwatering smoked eel tortellini with orange and caviar and marinated pigeon with foie grass soup. Practice yoga together with Linda Ergerus and Sandra Donovan at the Spring Equinox Yoga Retreat in Mallorca. This retreat offers a detoxing, calming, and a cleansing experience. It is situated in a 17th century farmhouse surrounded by olive groves, mountains, and fresh air. All meals are prepared by Suzanne Garaty of Vital Nutrition, an accomplished nutritionist. Spring Equinox Yoga Retreat is an ideal destination for travelers on beach vacation who wish to take a couple of days off to relax and just let go. Olivar Market or as the locals call it Mercat de l’Olivar is a large indoor food market in Palma that has many stalls selling plenty of meat, cheese, fruit, and vegetables. There is also a fish market in an adjoining building where you can buy fresh fish from the local fisherman. Olivar Market is not that touristy and lots of locals come here to shop or stop for a cup of coffee. In case you get hungry, there are several stalls selling fresh tapas. Travelers who wish to take a break from exploring the lovely Mediterranean coastline with a boat rental can visit the amazing Finca Sanau, a retreat center located in the south of Mallorca. Set in luscious gardens, this retreat center is an ideal place to meditate, read, and rest to the sound of the singing birds from the trees. Expect to find a number of great amenities and facilities including a swimming pool, diverse terraces, BBQ area, and a chill-out zone with hammocks and sunbeds. Finca Sanau has also two yoga halls and a lovely palm tree courtyard. Lined with palm trees, Formentor is an amazing narrow beach that offers spectacular views of the Bay of Pollensa. It’s a popular destination for travelers with boat rentals and historical celebrities like Winston Churchill and Audrey Hepburn used to come here. 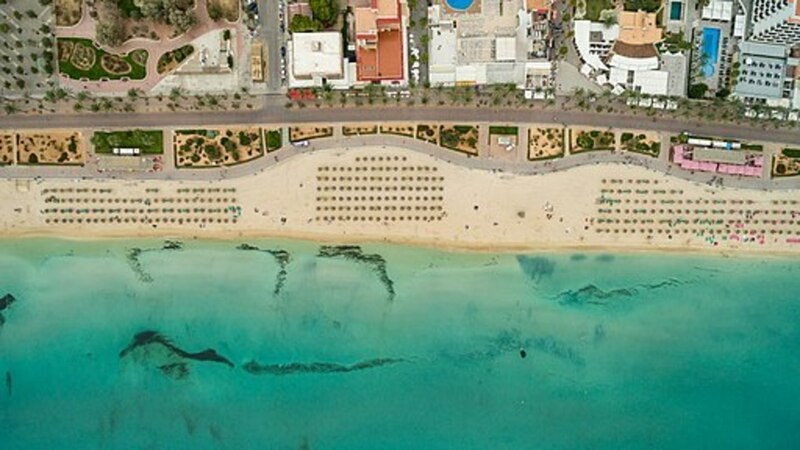 This is a blue-flag beach, which means that there is no shortage of amenities and the water is crystal clear. 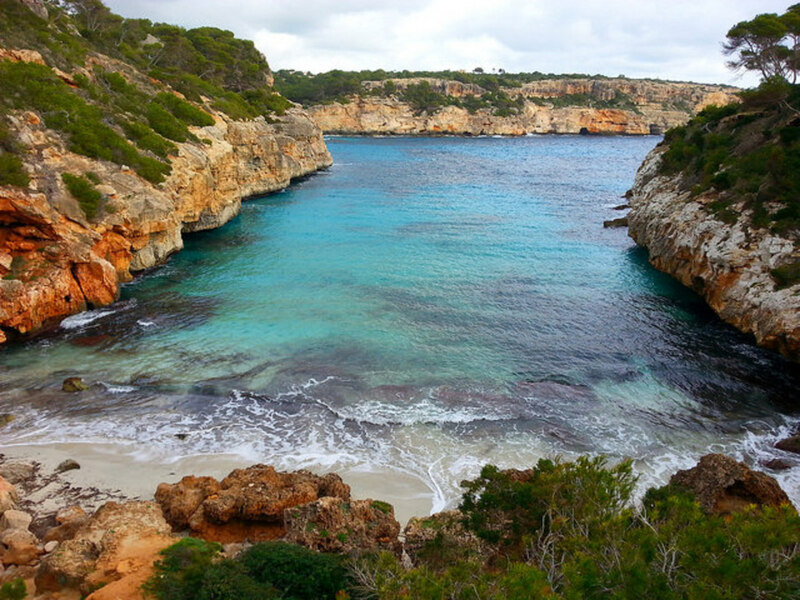 Surrounded by mountains and pine trees, Cala Agulla is located about 80 km from Palma de Mallorca. Expect to find sparklingly clean waters and plenty of opportunity for different marine sports and swimming. There are pedestrian paths to the nearby Cala Mesquida, as well as a cool snack bar and a pay-to-park area. 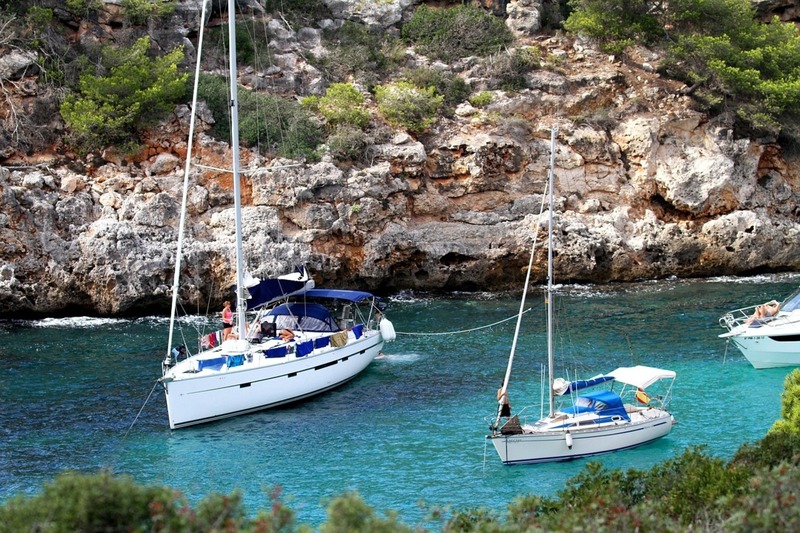 If you are on a sailing vacation in Mallorca, Cala Agulla is easily accessible by boat. If you are searching for a traditional café experience, head out to Palma’s old town where you will find the wonderful C’an Joan de S’Aigo. This ice cream parlor and café dates all the way back to the 18th century and boasts a cozy interior with vintage clocks and mood dark wood. Besides tasty coffee, they also serve delicious hot chocolate and ensaimadas. Easily accessible by a boat rental, Calo Des Marmols is a hidden beach on the eastern coastline of the island. It offers amazing landscape and stunning views of the surrounding area. Travelers who are hoping to find a beach where they will get some peace and quiet will be happy to hear that Calo Des Marmols is not crowded with tourists. The waters here are crystal clear, which makes this beach an ideal destination for snorkeling. Hop off your yacht rental and head out to the Serra de Tramuntana Mountains for the most amazing dining experience at Es Guix. Sit on a shady terrace and choose a dish from a traditional Majorcan menu that includes things like local sausages, rabbit, and rice with chicken. They also have an extensive wine list and the service is great. In case you are visiting with children, there is a kid’s play area next to the restaurant. Opened in 2016 and located just a short drive from the airport and 10 km from the center of Palma, FAN is the largest shopping mall on the island. There are several public bus lines that transfer passengers to the mall and numbers 18, 28, and 31 stop right at the entrance to FAN. If you are traveling by car, take the Ma-19 to the mall. Es Vergeret is situated in a farmhouse and offers amazing sea views from the terrace. Besides its great location, Es Vergeret is also a restaurant that has all the cool Mallorcan and Spanish classic dishes on the menu. Make sure to try some of their delicious paella dishes that come in huge portions and are ideal for sharing. Just a couple of months after moving his restaurant from Madrid to the island of Mallorca, Fernando Pérez Arellano was given a Michelin star. His new restaurant Zaranda is located in the Castell Son Claret hotel and some of the dishes on the tasting menu include sea urchin with seaweed and scallop ceviche and cuttlefish carbonara. Situated in the middle of all those Magaluf Club Pass clubs in the heart of the strip, Boomerang Nightclub usually plays hip-hop, electro, and house music. It is one of the most popular nightclubs in Magaluf and gets super crowded, especially during the summer season. Well-known for its rocky surroundings, S’illot is a popular beach in Mallorca that attracts hundreds of tourists daily during the summer season. It’s an ideal place for families with children, as there are many facilities including showers, changing rooms, and toilets. 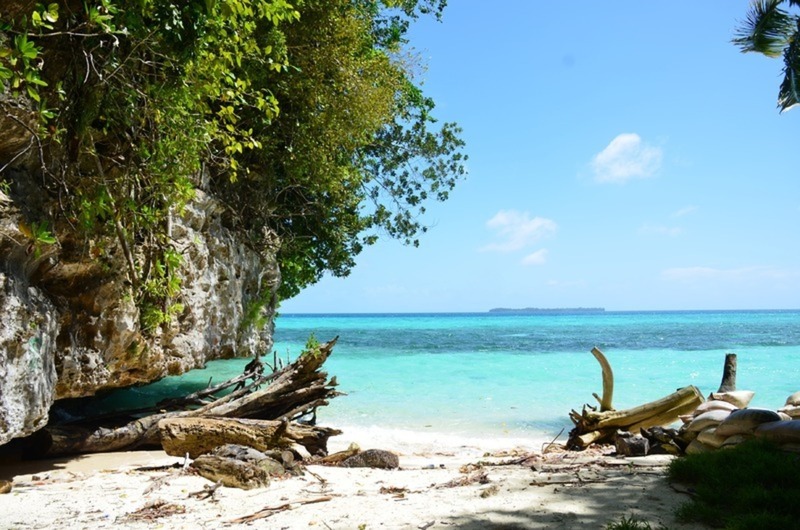 Make the most out of your trip and check out the archeological findings on the Talayotic community which are located just a short walk from the beach. Easily accessible by a bareboat charter, Nikki Beach Club boasts a large pool area with oversized sun-loungers and cabanas. There is a lounge area for private parties, as well as dozens of dining tables on the deck. They also have an award-winning restaurant where you can try Mediterranean specialties. Some of the other amenities at the Nikki Beach Club include the branded lifestyle boutique, cabana bar, and DJ performances throughout the day. Located just 15 minutes from Palma de Mallorca, Mhares Sea Club is one of the only adult-only beach clubs on the island and a perfect place to spend your beach vacation. It’s an ideal destination to get away from all the hustle and bustle of the city center and offers a wide range of amenities including a great swimming pool, Balinese beds, sun loungers, and a restaurant. There is also a small boutique on-site, as well as a chill-out lounge area. Head out to one of the marinas like Port de Soller, Puerto Pollenca, Port d’Alcudia, or Port the Palma to get a cheap yacht rental and start your unforgettable summer adventure. From snorkeling in the crystal clear waters of Mallorca to finding ideal destinations for jet-skiing and kite surfing, there are many vacation itineraries to choose from on the island. Stand-up paddle surfing is quite popular nowadays and there is also plenty of opportunity for water sports like kayaking, canoeing, and scuba diving. Menta Disco Club is located just a short walk from the port in Alcudia, making it an ideal destination for travelers who are on a sailing vacation in Mallorca. This awesome club has 3 bars on the first floor and one on the mezzanine. There are several staged reserved for artists and go-go dancers. Mondrago Natural Park is one of the most beautiful places on the island, but thanks to its remote location it does not get overcrowded during the summer season. Vacationers who are after white sand beaches with turquoise waters and stunning cliffs will fall in love with this natural park. There are several hiking trails that you can explore and the park is home to dozens of bird species. The good news is that kite surfing is allowed in Mallorca. Areas such as Can Pastilla, Es Trenc, and Alcudia offer ideal conditions for kite surfing. There are also many surfing schools that offer kite surfing courses for both beginners and experienced kite surfers. The summer season is the best time for kite surfing on the island because of the steady thermal wind. Keep in mind that kite surfing is not recommended on beaches crowded by a large number of tourists. Situated in a Mediterranean mansion from the 13th century, BreathInspiration is a lovely yoga retreat that was founded by Andrea Forizs back in 2013. Andrea is a PADI Master Scuba diver, certified business analyst, and a life coach who decided to open up her own yoga retreat and help people fully immerse in a variety of activities. BreathInspiration focuses on yoga, sport activity programs, and scuba diving. They offer several packages that include a number of wellness treatments, sports, and gourmet programs. Some of the most popular experiences here at BreathInspiration are cycling, sailing, climbing, wine tasting, meditation, massage sessions, and life coaching. Avenida Jaume III and Passeig des Born are the two main shopping streets in the city. Travelers will also find good shopping options on the adjoining narrow alleys and streets where boutiques like Pinko, Kidama, Angel Schlesser and Michal Negin can be found. Avenida Jaume III is home to stores like Cartier and El Corte Inglés. Hop right off your luxury yacht charter and explore designer shops on Passeig des Born including Mulberry, Hugo Boss, and Louis Vuitton. Shopaholics who are interested in watches and jewelry should visit Relojería Alemana, while travelers who are interested in interior design shops can check out brands like Hastens beds and Scandi brands. Centro Comercial Porto Pi is a smaller hypermarket and shopping mall located just a 5-minute drive from the center of Palma. Vacationers who are visiting the island with a yacht charter will be happy to hear that Centro Comercial Porto Pi is located really close to the cruise ships. If you are on a beach vacation in Mallorca, canoeing and kayaking should definitely be included in your travel itinerary. These fun water sports can be enjoyed by everyone as they are ideal for both beginners and experts. There are many beaches in Mallorca that offer hourly rentals and some of them even have trips and courses with certified guides. This is definitely one of the best ways to see Mallorca’s crannies, nooks, turquoise waters, and cliffs. You may even come in close contact with some fish. Travelers who are planning to visit Mallorca can also rent a chartered yacht and visit some of the island’s best secluded beaches and hidden coves. It’s definitely one of the better ways to see Mallorca and you can even plan your own trips with a boat rental. Many of these trips include paying a visit to charming fishing villages and historic towns which are full of various tourist attractions like art museums and medieval churches. Located close to Soller’s Plaça Constitució in the small town of Soller, Casa Álvaro boasts a simple interior with white walls and high wooden tables. The main chef Alvaro is in charge of preparing delicious Mediterranean favorites such as garlic prawns cooked with wine sauce, chorizo sausages, and gourmet tapas. Casa Álvaro is one of the finest restaurants on this side of the island and should definitely be included in your sailing vacation itinerary. There are many scuba diving schools on the island, as well as a number of shops that rent equipment for scuba divers. Beginners will be happy to hear that the island is home to dozens of great destinations that are ideal for travelers who are just getting into diving. For those more experienced, several excursions can be found in Mallorca that including diving into the beautiful blue waters and exploring it’s depths below. Expect to see octopi, shipwrecks, caves, and colorful fish. Located in the Tramuntana mountain range, Soller is a beautiful town that hosts the popular Soller Market each and every Saturday. This event takes places on the main square and on the side streets where you will find local vendors in colorful stalls selling everything from clothes and baskets to Soller Valley produce. After visiting the market, you can catch a vintage tram and check out the beautiful Port of Sóller. Spread over 3 floors and occupying 3,000 square meters of space, Pacha Mallorca is one of the most fashionable nightclubs in Palma. Keep in mind that the entrance fee is a bit on the expensive side, but the amazing sound system, chic décor, and performances from world-famous DJ’s make the price tag justified. Pacha Mallorca offers amazing nightlife entertainment and a number of facilities including the glitter-balled dance floor, chill-out zone, Vip areas, sushi club lounge, terraces, and private parking for visitors. In case you get hungry, Pacha restaurant offers a variety of seafood specialties to choose from. There are many towns in Mallorca that host nightly craft markets during the summer season and you can find one in the capital of the island, Palma de Mallorca. La Llonja night market is located on the edge of the La LIonja district and local vendors here sell artisan craft items, bags, and jewelry. It’s also a great place to purchase gifts for friends and family. There are many kid-friendly activities in Mallorca and a visit to the popular Marineland is one of them. What better way to spend a beach vacation than check out a sea lion show or a dolphin show which is the main attraction here in Marineland. Watch dolphins swim in their natural environment from the underwater tunnel and have an experience of a lifetime while vacationing in Mallorca. Located on the beach of Palma de Mallorca, Nassau Beach Club spreads across 750 meters of pure sandy beach and offers amazing views of the cathedral and the ocean. The good news is that if you are exploring the island in a yacht rental, Nassau Beach Club has a jetty for boat arrivals. Expect to find plush loungers on the sand, a great restaurant, and a decked terrace with seating. They also host full moon barbecues and the waiters are attentive. One of the best dining establishments on the eastern side of Mallorca, Clivia is located at the foot of Calvari steps in the small town of Pollenca. The restaurant is situated in an old townhouse and boasts a beautiful while interior décor with wooden lamps spread across the ceiling. Plenty of both meat and fish options can be found on the menu like paella with lobster and while tuna tartate. What better way to spend your beach vacation that exploring numerous diving sites on the island. You will find more than 50 diving clubs and many diving centers all over Mallorca. Most of them offer equipment for rent and have professional and licensed scuba diving instructors. Admire the spectacular underwater scenery and visit numerous shipwrecks, walls, caves, cavers, and drop offs. 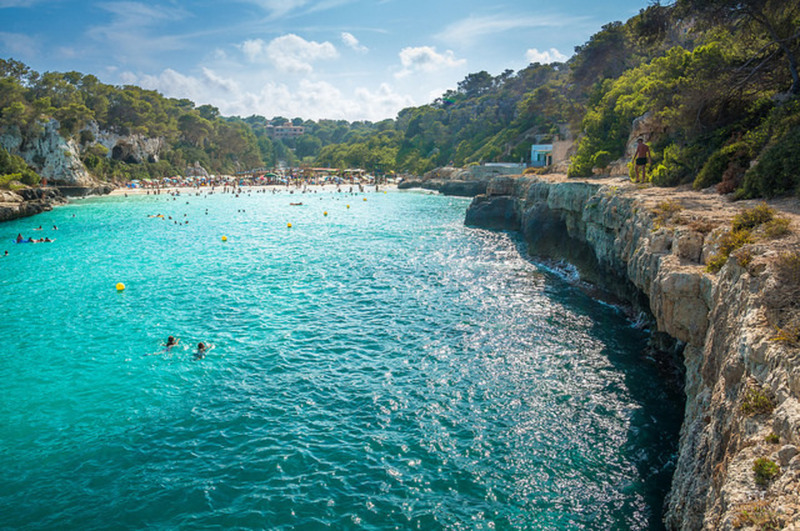 The water temperature in Mallorca ranges from 14°C in January to over 25°C in August. Experienced divers can go on a night dive or take underwater pictures and capture the beauty of the marine flora and fauna which includes lots of corals, octopus, and fish. Located directly on the beach and just a few steps from a pine forest, S’Embat is hippie bar that attracts both tourists and locals. If you are planning to visit this place on the weekends, you will have a chance to see live Reggae bands playing from 8 to 10 pm. Noche del circo starts at 9 pm on Fridays and people here just love to dance barefoot in the sand. Nestled 17 km from Palma in the hills of the Tramuntana, Valldemossa is one of the prettiest villages on the island. Admire the beautiful stone buildings and visit the monastery from the 13th century which was once a royal residence. Offering easy access for travelers with boat rentals, El Dolç is located on the famous El Trenc beach that is well-known for its crystal clear waters. You will find a number of refreshing cocktails on the menu to choose from, as well as a nice selection of bottled beers. El Dolc was recently voted as the most environmentally conscious beach bar in Mallorca. In case you’re more looking for a beach with pebbles instead of sand, head out to the lovely Cala Deià. Thanks to the crystal clear waters, some of the main water activities on this beach are swimming and snorkeling. You will find a couple of cute restaurants here including C'as Patró and Can Lluc that serve delicious seafood specialties, cold beers, and Majorcan wine. The best amusement park in the Balearic Islands, Katmandu Park offers a number of thrilling rides for families with children. The main attraction is the House, a playground with spinning tunnels, mirror mazes, and life-size games. The youngest of children can head out to the Katlantis splash park. There is also a K3 climbing frame with swings and rope lines, as well as interactive experiences such as the Asylum and Zombies. Purobeach Club is located close to the capital of Mallorca and boats white sun loungers, large pool, and a great restaurant that serves beef burgers with bacon, cheese, tomato, fries, and onion. They also offer massage treatments, as well as a wide selection of craft cocktails on the terrace. During the day, the DJ’s play chill-out music, while the party atmosphere starts as soon as the sun goes down. If you wish to take a break from exploring the Balearic Islands in a boat rental, visit the amazing La Reserva. It is a well-managed private reserve that houses a variety of animals including peacocks, goats, sheep, deer, donkeys, brown bears, and goats. La Reserva is located at the foot of Mount Puig de Galatzo, which makes it an ideal place for hikes. There is also a picnic area with barbeques and a bar where visitors can order refreshing drinks. Some of the most popular activities for families with children here at the reserve include rock climbing, zip lines, and hanging bridges. The winds in Mallorca are favorable and there is plenty of opportunity for windsurfing. Expect to find many surf shops and surf schools that offer equipment for rent and have windsurfing courses. The best areas for windsurfing on the island include El Arenal, Ciudad Jardin, the bay of Alcudia, and bay of Palma where the thermal wind is Bft ~4 in the summer. The beach of Palma has good westerly winds, as well as ideal waves for windsurfing. In case scuba diving is too difficult, why not try snorkeling while sailing in the Mediterranean with a bareboat charter. Dozens of diving centers offer equipment for snorkeling and you can also purchase masks at a number of shops on the island. Some hotels also have snorkeling equipment for hire. Café Can Martí is a family-run café that’s been serving fresh coffee since the 1930’s. On the menu, you will find a variety of delicious pastries and a classic Mallorcan breakfast fare that includes bread with tomato, café con leche, and an orange juice. Café Can Martí also serves a del dia menu at lunchtime. No beach vacation in Mallorca is complete without a visit to the amazing Arabay Coffee which is located right next to Plaza Mayor. They’ve been roasting coffee since 1952 and have their own store here in Mallorca. It’s the only coffee place on the island where you can choose how your coffee is brewed. Whether you are into filter coffee or you want aeropress, Arabay Coffee can make it happen. The service is great and all baristas are well trained and have years of experience. Take a break from all the water activities like snorkeling and waterskiing on the beach and head out to the Santa Catalina neighborhood where you will find the lovely Simple Smart Food Bar. They are well-known for serving healthy food and tasty coffee. A wide selection of smoothies can be found on the menu, as well as some sweets. In case you are planning to get some work done while vacationing in Mallorca, Simple Smart Food Bar offers free Wi-Fi and there are plenty of power sockets inside the café.